We are happy to welcome you to our website and our about us page. Here, you can learn what Kia of Mankato is all about. We are a family-owned dealership that has been proudly serving customers from all across the area for over 10 years, and we look forward to many more years of service to come. Our primary goal is always to help our customers. We want to find a car that fits your needs, wants, and your budget. What’s more, we want to get all done in a timely manner because we know how important your time is to you. Our dealership is conveniently located in Mankato where we can serve countless communities in the area including Owatonna, Fairmont, St. Peter, New Ulm, Blue Earth, Le Sueur, and many more. 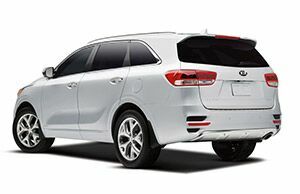 Kia is an impressive brand and the best way to prove that is for you to get behind the wheel and try one for yourself. We can have you in the driver’s seat for a test drive in no time no matter which model you would like to try. Want to try more than one? Go for it. We have all the local favorites including the Sportage, Sorento, Optima, Forte, and more. These vehicles are packed with features and are a great value. What’s more, at Kia of Mankato we provide a 20-year or 200,000-mile powertrain warranty. In other words, we aren’t just selling cars, we are selling peace of mind. Check out our inventory online today. We have more than just new Kia models. We also have a wide range of used vehicles including both Kia models and models from a wide variety of other brands too. What’s more, every used model that we have on our lot has already undergone a careful and meticulous inspection to ensure that we are only selling the very best. On top of that, we also have a fill service department that can take care of anything that your Kia may need, and we can even provide service shuttles and loaner vehicles for longer service visits. We can take care of all your automotive needs here at Kia of Mankato, just give us a call or stop right into the showroom today!